This place is actually quite nice - shady with good views of the Astoria bridge. Part of the Lewis and Clark National Park. 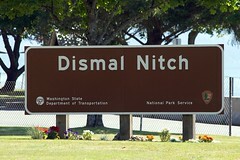 This site is in Washington.